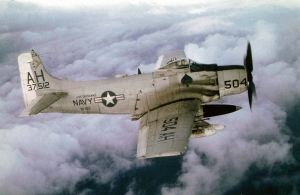 The Subic Bay Douglas Skyraider wreck is in remarkable condition, considering the length of time it has been underwater, with only the engine and cockpit shrouds missing. The Philippines Skyraider aircraft wreck was reportedly located by John De Sadeleir who owns a dive shop in the area. We were fortunate to receive the coordinates from our good friends at “Sea Scan Survey”. 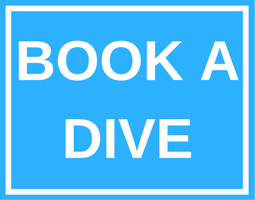 Here at the Arizona Dive Shop we take great strides to conserve this piece of aviation history, emphasizing the importance during pre-dive briefings, leaving a “zero” footprint, and treating the aircraft wreck with the utmost respect. Towards the end of War World 2 the US military desperately required a long range, carrier based, high performance, dive-bomber with a tremendous ordnance payload. The Douglas Aircraft Company produced prototype models before being awarded the contract to produce the “Skyraider”. The aircraft were turned out at a rate of up to two a day at Douglas’s El Segundo power plant in Southern California. The Douglas Skyraider first hit the skies in March 1945 but didn’t see wartime service until the Korean War in 1950. The aircraft soon became the backbone of US Naval operations throughout the Korean War. 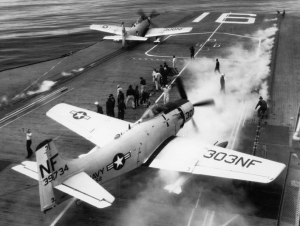 The Skyraider was built in almost 40 different configurations. The first wide body variant flew in August 1951 and was intended to carry additional crew, electronic equipment and weapons for anti-submarine warfare. It is thought that the aircraft was detached from the USS Lexington CV-16 and crashed into Subic Bay on the 9th of January 1962 killing its 4 crew. The aircraft here in Subic Bay is a 4 seater with 2 forward facing front seats and 1 forward and 1 backward facing rear seats. It is sitting upright on a flat silt bottom at a depth of 36 metres. The aircraft is fitted with 2 x 20mm cannons on each wing and all electronics, gauges and controls are clearly visible. It is thought that the aircraft is a AD-5Q variant. 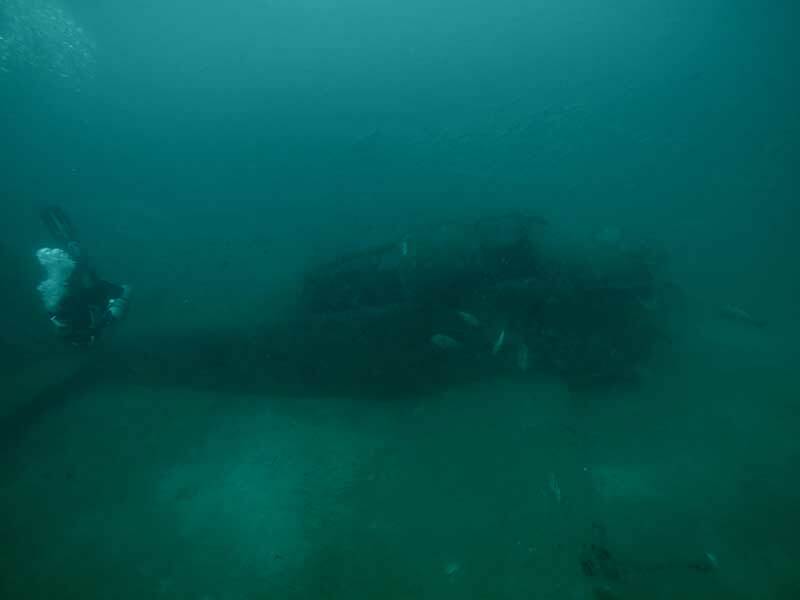 The wreck is extremely impressive and becomes our third aircraft dive site along with the Japanese built DC3 (Tabby) and F4 Phantom located 7km outside Subic Bay. The aircraft is home to Sweet Lips, Banded Coral Shrimp, Hinge Beak Shrimp and Juvenile Jack Fish.